What’s in a name? Are you tempted by V Energy’s latest flavour? New Zealand beverage company Frucor, manufacturer of V-Energy drinks has added a limited edition ‘V Not Orange’ flavour to its range. Just as consumer tastebuds started to move away from cold caffeinated drinks to hot beverages, V Energy needed a product to keep interest in their range during the cooler autumn and winter months. Limited edition product releases are intended to create awareness and boost sales during quiet periods. The marketing guys at V Energy have come up with some great campaigns over the years, but had their latest campaign achieved their objective? The smarts behind this product release is in its name, ‘V Not Orange’. Having not tried the new flavour I was curious to find out what people online were saying about the taste. Blogger Chris Jager, a self-confessed lover of V Energy drinks taste tested the product on the blog, Lifehacker. He scored the product 8 out of 10. The flavour of the drink was a combination of eating handful of jellybeans with a slight orange after taste, Jager commented. A post on V Energy’s Facebook page on the 8th April asked fans what they thought of the new flavour generated 955 comments and over 7,000 likes. While the new flavour generated a mixed response, what was more interesting was the discussion around the name of the new product; it was a real conversation starter which most likely extended offline. To promote the new flavour V Energy is running a competition on its Facebook page, fans can win a trip to LA and weekly product prizes. Entrants must upload an image of fans photo bombing shots with the new flavour. Due to the design of the App it is hard to gauge how many people have entered the competition. Working at an online marketing agency it’s not unusual to see developers sipping on energy drinks, however I hadn’t seen anyone try the new V Energy flavour. 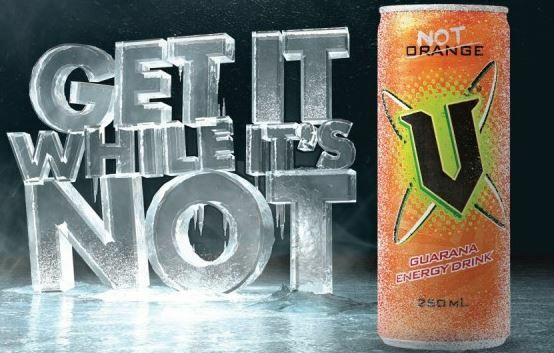 While waiting for our food at the pub on Friday the conversation turned to if anyone had tried the new V Not Orange drink and the merits of the marketing campaign behind it (I decided to write this article based on that discussion). No one had tried it, but the very fact that everyone was talking about it was evidence that the marketing guys at V had achieved their goal of achieving awareness. Will this translate into trialling the product is yet to been seen, but I would say 35% of V drinkers that know about the product would most likely trial the new flavour out of pure curiosity. And that would be enough to keep sales going until the appetite for cold drinks returns in spring. 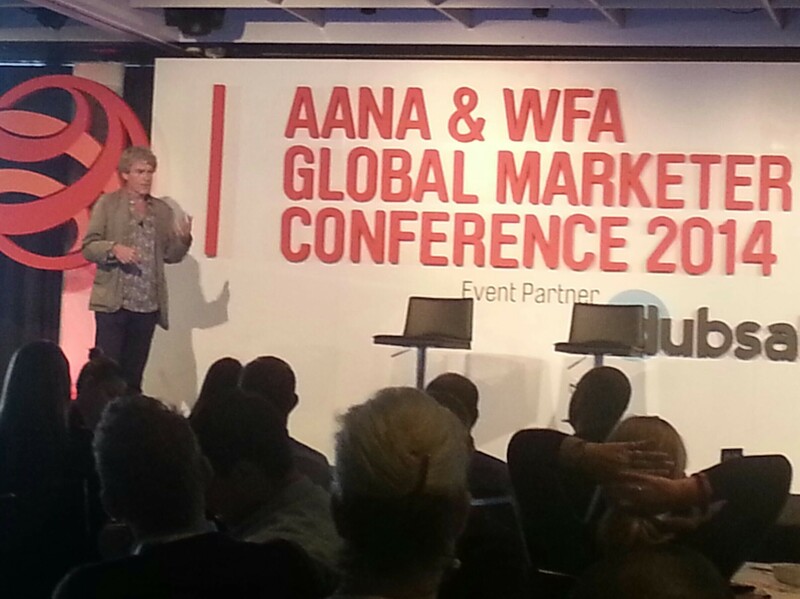 What’s the difference between marketing strategies and tactics? 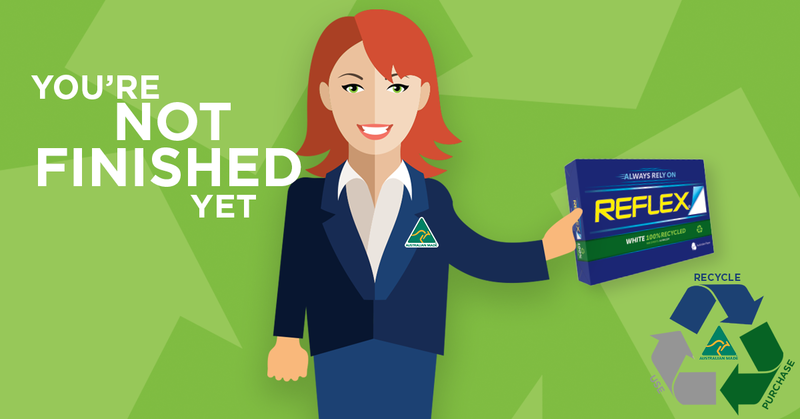 Many newbies and experienced marketers confuse strategies for tactics. This is quite common in the digital industry, especially social media, which is full of savvy social media users, but most times they don’t see the big picture and deal with just the tactical execution. Strategies are a subset of your business goals. Tactics are the actions taken to achieve the goals. Everything starts with the business goals, for example grow sales by 20% this financial year. These are the high level targets for the business. Strategies explain how you will achieve the goals. Like most organisations, soft drink/ soda manufacturers would look to grow sales, but in a saturated market they would look at other food lines/ categories to achieve their goals. The ice-cream category is often used by soft drink manufacturers to broaden their sales. Ribena, a popular blackcurrant drink has released an ice-block product. 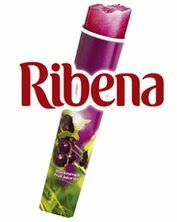 Ribena would have done their market research and understood their target market likes to keep cool in summer and ice-blocks fit that need. Research probably also told them that consumers for years had been creating their own version of Ribena ice-blocks by freezing the juice at home. In addition the ice-cream confectionary market has been growing steadily as a result of hotter and more prolonged summers. When it came to tactics, Ribena would have most likely used a combination of television and print advertisements and social media to promote the new product. Social media is used a lot these days to launch a product, for example a simple 25 words or less competition is good way to generate interest in a new product. Once brands have built-up a good following on social media they can leverage this for product launches. Now I’m not sure of the success of Ribena’s ice-block product, but if you want a better example check-out the blog ‘Brand Insight Blog’, John Ferguson references the famous ‘Arm & Hammer baking soda’ example.